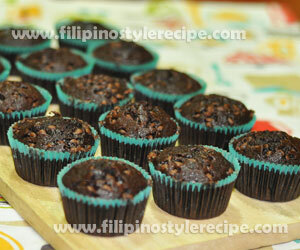 Filipino Style Recipe: I just happened to have some leftover chocolate cupcakes from a batch I made. And since it already gotten dry after 2 days in the fridge, I reinvented into a bread pudding.It turned out great, everybody loved it, and no more leftovers! 1. In a loaf pan, arrange the white bread at the bottom of the pan. Put the chocolate bread on top of the the white bread. Drizzle with the butter. 2. In a mixing bowl, combine the milk, sugar and mix. Add the eggs and beat until well combined. Add the vanilla and mix again. 3. Pour the milk mixture evenly on the bread. Press down with fork to soak. Sprinkle chocolate chips on top. 4. 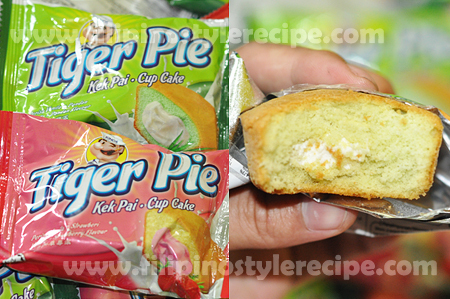 Bake in preheated oven at 350 Fahrenheit for 30 minutes or when a toothpick inserted at the middle comes out clean. 5. Remove from the oven. Best served while still warm. 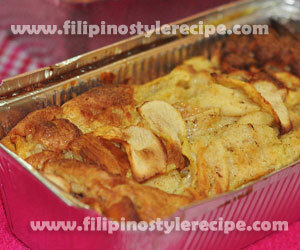 Filipino Style Recipe: apple bread pudding is a bread-based dessert popular in many countries including the Philippines. There are several ways to make bread pudding, normally the bread(leftover) break and then soak in milk, egg, sugar and other fruits. Bake for 30 minutes or until the knife comes out clean when inserted. 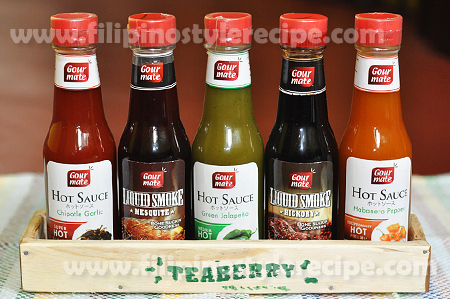 Thanks to citydelivery.ph for delivering my ingredients from Walter Mart. 1. In a 8 inch baking pan, toss bread and apples then drizzle the melted butter. 2. In a bowl, combine beaten eggs, milk, sugar, cinnamon and vanilla. Mix well. 3. Pour the egg mixture over the bread then push with fork until the bread is fully soaked. 4. Arrange apple slices on top then bake in a preheated oven over 300 degrees Fahrenheit for 30 minutes or until the knife comes out clean when inserted. 5. Remove from oven and let it cool. 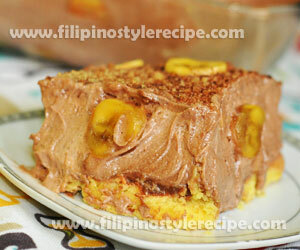 Slice into serving pieces then serve. 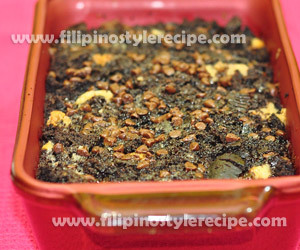 Filipino Style Recipe: Classic bread pudding is a bread-based dessert popular in many countries including the Philippines. There are several ways to make bread pudding, normally the bread(leftover) break and then soak in milk, egg, sugar and other fruits. Bake for 30 minutes or until the knife comes out clean when inserted. 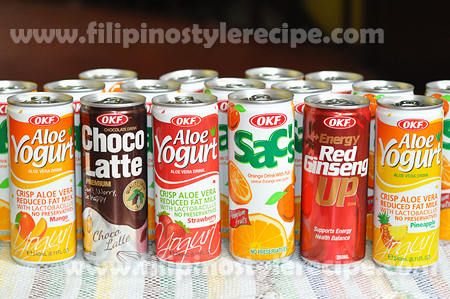 Most of my ingredients were delivered by Walter Mart – City Delivery. 1. 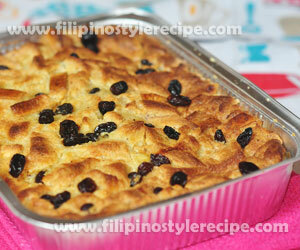 In a 8 inch baking pan, break bread into small pieces then drizzle the melted butter and sprinkle the raisins. 4. Bake in a preheated oven over 300 degrees Fahrenheit for 30 minutes or until the knife comes out clean when inserted.